Ron Davis, father of Jordan Davis, the 17-year-old unarmed black teenager who was shot dead at a Florida gas station in 2012 by a white middle aged man called Michael Dunn. 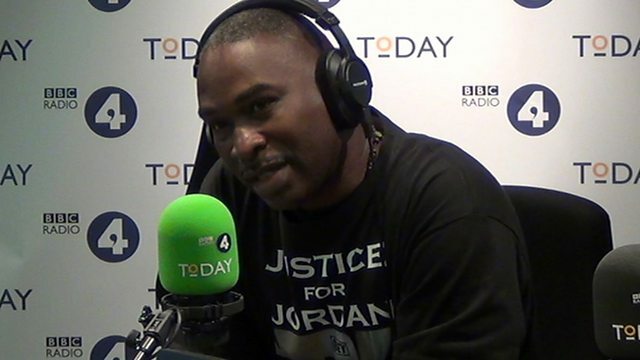 A film has been made about Jordan’s death and how it impacted on his family – from finding out that they’d lost him to going through the court system. The film that is called 3 1⁄2 Minutes, Ten Bullets, tells the story of the story of the senseless killing of his son.